Play Cosmo: Real Money Casino Games & Vegas Slots! Find the best mobile gambling apps and play your favorite real money games! Did you know that more than half of the world population are active mobile users? I don't know how many of them are also active Casino games enthusiasts but I am sure we can agree that's not a small number either. 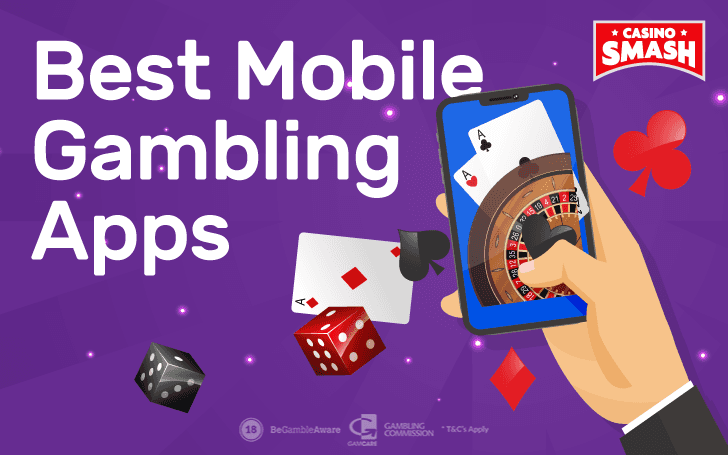 After all, this report by the United Kingdom Gambling Commission (UKGC) shows that "51% of online gamblers did so using a mobile phone or tablet" in 2019. Most Casino players (including the author) are always on the lookout for new Casino sites and mobile apps to play real money games. Of course, the success of those apps depend on our preferences. Some players look for Slot apps, others for card games. Some search for Android apps, some for iPhone ones. I won’t throw my two cents in and tell you which mobile operating system I prefer. But I can promise to tell you about the best mobile gambling apps to play real money games. For both Android and iOS users. Important: There are many fake apps on Google Play and on the App Store. To download the legit ones, follow the links on this page. Google Play offers many awesome apps for all kinds of activities. There are probably hundreds of productivity, fitness, or games apps out there. But Google's app store lacks when it comes to mobile gambling apps to play real money games. Android real money gambling apps on Google Play are only available in three countries worldwide: the United Kingdom, Ireland, and France. If you are living somewhere else, it will be more complicated to download mobile games to play for real money to your phone. The biggest question is, which Casino sites even have the best mobile apps to play real money games on Android devices? And that question will be answered here. 888 Holdings is a leading name in the gambling industry. Not only they offer Casino games but also Poker and Sport betting platforms, too. That reflects in their offering of mobile apps, too. Their Casino app has more than 100,000 downloads and an average rating of 4 stars out of 5. And that's high because some petty people put 1 star if they lose at some game and it often damages the overall score. Download the app to play the latest jackpot Slots, best table and card games, as well as the luxurious selection of live dealer games. If you don’t have an account at 888casino yet, keep in mind that you can get £88 no deposit bonus when you sign up! PartyCasino brings a party to your phone! 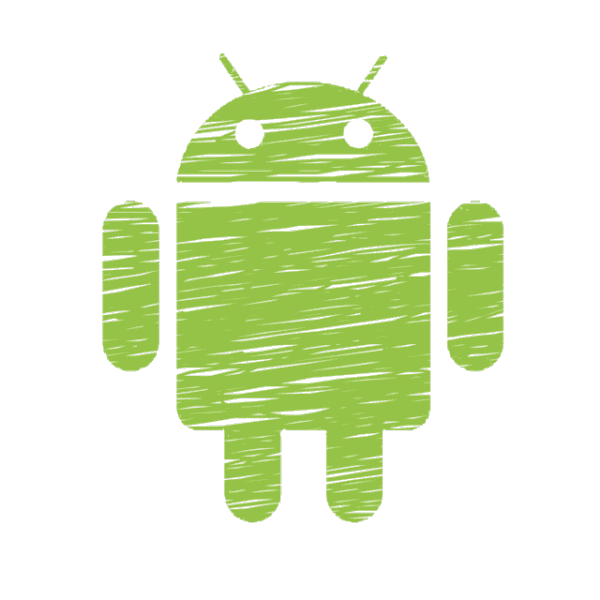 The Android app features a huge variety of games, personalized promotions, and fair gaming. Everything you need from a Casino, right? PartyCasino gives you reload bonuses every week and regular seasonal promotions coming your way. It’s really an always-festive place to play at. You can start doing so today. Sign up at PartyCasino and claim your bonus up to $200 and 80 free spins on your first deposit. Second and third deposit will bring up to $300 and 40 more spins your way. Okay, now let’s talk about the most underrated app ever. PlayCosmo Casino may be a brand-new gambling site but their Android app can compare to the giants in the industry. It has all kinds of Casino games, including Vegas Slots, Video Poker, and Craps, which is not present in most Casino apps. And guess what, the app has only 50+ downloads on Google Play! That’s simply not fair, so I had to put it out there. Maybe the bonus seems small in comparison to other apps. Sure, 100 percent bonus up to £50 on your first deposit and 100 bonus spins on your second deposit of £25 may not seem like a big deal. But look at it this way: if it’s not big, that means Casino has bigger and better things. Thus, they don’t even need to feed you with a huge welcome bonus to at least give them a shot. Download PlayCosmo app and you’ll see. 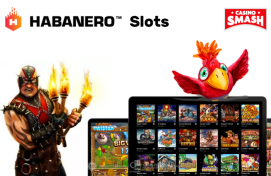 bgo Casino app doesn’t take much of memory on your mobile devices, it features all the best bgo games, and you can claim all the active promotions. If you already have an account at bgo Casino, login using your details, end enjoy the real money gambling at its finest. If you don’t have an account yet - create one here. Slots Heaven is a sibling site of casino.com - one of the biggest Casinos in the world. While the name hints it’s a paradise for Slot players, the Casino features also table and card games, as well as excellent Live Casino section. And so do their mobile app. It’s also made to suit both beginners and advanced players. High-rollers included. You won’t lack deposit bonuses, reloads, top-ups on winnings, cashback, free scratch cards, free spins, and other bonuses either. Starting with a welcome of 100 percent bonus up to £100 and 200 free spins! Since Apple's App Store does show gambling for real money apps, many players just go there and search for 'Casino'. Sure, you will find some apps, but will they be any good comparing to industry standards? To make sure you download the best iOS (phone or tablet) apps, check the mobile Casinos on this page. casino.com is one of the greatest Casinos out there and not only because of their convenient domain name. They simply do business the way players enjoy it. By providing the best Casino games, generous promotions, and regular game tournaments. You can get all that on the go with their smooth mobile app casino.com - Real Casino Games. If you don’t have an account at casino.com yet, your download will award you with a special mobile bonus: 100 percent deposit match up to £100 and 200 free bets (spins). The app works both on smartphone and tablet. Casumo Casino is the place that proves gambling shouldn’t be dark or behind the blinds at always "no idea what time it is" Casino. Their site and iPhone app are bright, colorful, and cheerful. Just like gambling at Casumo is. "The games are so fun to play, deposits & withdraws are so easy to make and the team are so fun and so easy to talk to." "I 1,000% trust Casumo for a fun time and 1,000% trust them with my money". It doesn’t mention the magnificent welcome bonus, though. So, I’m just putting it out there: 20 no deposit free spins + 100 percent up to £/€300 deposit bonus for new players. Cheers! For a giant as Betfair, it would be shameful not to have a Casino app. But luckily they do. And pretty badass one, if you ask me or read the reviews. Their iPhone app is available in English, Danish, German, Italian, Portuguese, Romanian, Russian, Spanish, and Swedish languages. And you can play all the best Casino games from Betfair platform. Betfair is especially proud of their Roulette games, but you can also play Slots and other table & card games on their app. Live Casino games included. Oh, and if you happen to live in the UK or Ireland, you can claim 25 free spins. No deposit and no wagering needed - keep what you win! 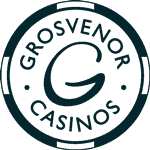 "Recently I tried the new Grosvenor Casino app, it’s brilliant, it’s just like the web version, easy to access and the features are brilliant. The promotions are always worth the money and the casino points are a great way of giving the player something back as a thank you". What else to add there? Because it’s all true. The app is easy to use, it offers all the games from Grosvenor Casinos online platform, and all the same promotions and loyalty programs. Like this one: deposit £20 and get £20 for free! Only five times wagering needed. P.S. If you prefer to play Live dealer games, download Grosvenor Live Casino App instead. LeoVegas won an award for their superb app back in 2017 and that’s a recognition already. It’s 3 in 1 kind of program: features Casino, Live Casino, and Sports betting sections. Plus, their app is available in English, Danish, Finnish, German, Italian, Norwegian Bokmål, and Swedish languages. Apart from a variety of Casino games, you will have over 1000 of Slot machines to choose from. And best of all, the loading speeds are fast. And the same goes for withdrawals. And what’s the welcome bonus, you may ask? 20 no deposit free spins for UK players and 100 percent bonus up to £100 on the first deposit. And second. And third and fourth. Bonuses for other countries vary depending on the location.